A perfectly predictable mix of technology, politics, and anything else that fits my personal predilections. Let's get a few things out of the way: Murray Rothbard was a very influential thinker in Libertarian politics at a pivotal moment in the movement. The article that I'm about to tear apart was written over 40 years ago - a lot of things that are plainly obvious in retrospect may have been less obvious back then. There's nothing in said article that diminishes the work he did in economics and political philosophy, nor should it diminish the historical impact that Rothbard's contributions ultimately made to political thought. Even so, incredibly intelligent people can be incredibly wrong sometimes - nobody knows everything about everything, after all - and, in this particular instance, Murray Rothbard was either Max Power wrong or not even wrong. With that out of the way, let's talk about The Soviet Bogeyman. Let me be clear about something before we really delve into this - it's not only possible to defend libertarianism without being reflexively anti-American, it's actually a really good idea. The United States hasn't been perfect by any stretch of the imagination, and it will never be perfect by any stretch of the imagination, but we remain the first country on Earth founded and sustained by an ideology. We weren't created to support a common race or nationality like most of Europe. We weren't created to support a common religion. Instead, we were created to support the ideology of "freedom", whatever that might mean at various points in history, and it's an ideology that we do an admittedly imperfect job of living up to. Considering how libertarianism is an ideology founded to support maximal freedom, one that seeks to define the outer extremes of liberty and then make them manifest, it should, with a bit of patience and an ounce of humility, have a very important contribution to make toward defining how the ideology of "freedom" should continue to guide the United States. 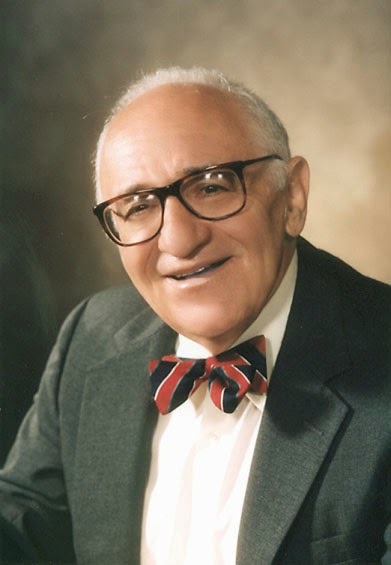 Considering how instrumental Rothbard was toward defining the outer extremes of liberty, almost singlehandedly creating Anarcho-Capitalism in the process, one would think Rothbard would appreciate that and use that dynamic to his advantage. Between Conservatism and Libertarianism there are numerous and grave inner contradictions, and the attempt to mix the two will lead inevitably to grave problems and anomalies, as we have all recently seen, for example, in Ayn Rand’s attack upon amnesty for draft evaders. I actually agree with Rothbard on this. It's a shame he changed his mind in later years. Indeed, what in the world the Russian Question has to do with whether or not the FBI should prosecute the drug traffic, or wiretap, or whether the police should remind accused persons of their constitutional rights, passeth understanding. Are we going to be like the typical Conservative, who drags in the Russian Threat like King Charles’ Head to justify any and all acts of government tyranny? Once we go that route, once we begin to justify a loss of liberty now in order to “defend” that liberty later, we are not only abandoning liberty itself: we are justifying every act of statism, from the draft to oil proration laws. Indeed, every such act has been justified by conservatives in the name of the Russian Threat and of national defense.” And in these justifications, we can see how the State has for centuries used the “foreign threat” to aggrandize its power over its deluded subjects. Fantastic! Right about here would be a fantastic point to launch into a perfectly justified and well thought out defense of freedom, how embracing it would protect us far better than an overbearing state ever could, how a way of life that embraced freedom would ultimately undermine the inner contradictions of the Soviet Union and lead to its inevitable demise. It would have been a seminal essay, one for the ages, defining liberty as a shining citadel upon the hill, and so on. But the major point is the usual libertarian case for decentralization: that when we confront despotism by the FBI we have no place to go short of leaving the country; whereas to avoid despotism or brutality by, say, the West Waukegan police force all we have to do is to skip to East Waukegan: surely a far more comfortable choice. Remember that sentence. We'll be coming back to it. Let's set the tone, shall we? I will have to be a bit high-handed and say flatly that it is my considered view that there is not a single shred of evidence of any Russian aim or plan to launch a military attack upon the United States, either in the past, present, or future. A bold claim. There were more than a few ICBMs that might disagree, along with the numerically larger military of the Warsaw Pact of the time, but, considering how many direct invasions of the United States were attempted by the Soviet Union, it might have been true. Since the time of Lenin and his magnificent (from a libertarian, pro-peace point of view) conclusion of the “appeasement” Treaty of Brest-Litovsk in 1918, the Soviet Union, vis-à-vis the other Great Powers, has consistently pursued a policy of what they have long termed “peaceful coexistence,” in fact often bending over backwards to pursue a peaceful foreign policy almost to the point of national suicide. There is so much wrong with this, it defies imagination. Let's start with the Treaty of Brest-Litovsk. From a libertarian point of view, it was a travesty - yes, it stopped the fighting on the Eastern Front, but only by effectively mandating Central Powers occupation over large swaths of Imperial Russia and the forced transfer of scarce industrial output and foodstuffs to the Central Power armies so they could more effectively campaign on the Western Front. In fact, the conclusion of the treaty enabled Germany to free enough resources to start the Spring Offensive. If Russia held on for a bit longer - not, frankly, that it was really capable of doing so - American troops might have turned the tide even sooner, moving Armistice Day forward a few months. As for the Soviet policy of "peaceful coexistence", that's a curious way of describing the Soviet Union's early attempts to export revolution in Hungary and Germany, to say nothing of later Soviet misadventures in Spain, nor the establishment and forceful enforcement of the Warsaw Pact. It also rather conveniently ignores the Russian conquest of Armenia, Georgia, and Azerbaijan. More on that in a bit. Lenin’s adherence to that policy was only confirmed by the “socialism in one country” doctrine of Stalin and his successors. Stalin's execution of his "socialism in one country" doctrine was notable for successfully exporting Soviet "socialism" to more countries than any other leader in Soviet history. We all too often forget several crucial facts of modern European history: and one is that, from the point of view of ordinary international relations, Russia (any Russia, not just Soviet Russia) was a grievous loser from the settlements imposed by World War I (Brest-Litovisk, Versailles). Quite true. As libertarians, we should mourn this... why? Any German, Russian, or Austrian regime would have been “revisionist” after the war, i.e., would have sought the restoration of the huge chunk of territory torn from them by the victorious powers. Old Czarist Russia was shorn of Finland, Estonia, Latvia, Lithuania, Western Byelorussia (grabbed by Poland after its war of aggression against Soviet Russia in 1920-21), and Western Ukraine (lopped off by Czechoslovakia and Rumania). Any Russian government would have hankered for its lost and grabbed territories. This would be the part where a good Anarcho-Capitalist would be briefly sympathetic to the plight of the governments involved, then swiftly remember that, if the goal is the elimination of all governments, it's imperative that governments get as small and localized as possible, so shrinking what still remains the largest jurisdiction controlled by a single government would be a "good thing". And yet, the Soviets did very little about this hankering; certainly they made no move whatsoever to make war to get the territories back. Except, again, the aforementioned invasion of the Transcaucus region, along with the conquest of Ukraine and Belarus during the Russian Civil War. This also conveniently ignores the Soviet westward offensive of 1918-1919, which precipitated the Polish "war of aggression" in 1920-21. Considering the results of these efforts (let's just say that, if the Soviets were successful in 1919, it would have been a German "war of aggression", not a Polish one), it's no surprise the Soviets didn't try again until the late 1930s. It probably took at least that long to repair most of the damage from the solid decade of total war Russia experienced between the start of World War 1 and the end of the Russian Civil War. The Hitler-Stalin pact, much reviled by the uncomprehending Western press, actually made excellent sense for both major “revisionist” post-Versailles powers, Germany and Russia. For the essence of that pact was the commonality of revisionist interests by both powers: from that pact, Germany got its lost territories back (plus an extra chunk of ethnically Polish Poland), and Russia peacefully re-acquired its old territories, with the exception of Finland. Finland wasn't an "exception" due to some oversight in the Molotov-Ribbentrop Pact - it was an exception because the Finns embarrassed Soviet troops during the Winter War. Furthermore, it ignored the will of the Polish people and, adding insult to injury, yet again empowered Germany to pursue its expansionist aims in Western Europe. Unless Rothbard seriously thinks that Germany was exercising a legitimate "revisionist" claim to the Carolingian Empire. Romania installed a fascist regime after the Soviets invaded Romanian territory, which was allowed under the Molotov-Ribbentrop Pact. Hungary's participation was a bit more opportunistic, though it's not too surprising that the Hungarian people were more pro-German than pro-Soviet given the Soviet Union's previously mentioned interference in Hungarian affairs in the 1920s. In his hysteria, Hitler too, like our conservatives, thought he saw an imminent Russian Threat: and so he decided on what is now called a “preemptive strike.” But of course Hitler, like our American Conservatives, was deluded; for the events of the war revealed that Stalin’s unwise trust in his ally led him to neglect elementary preparedness and thereby almost lost him the war as a result. Stalin’s pacific policy was carried almost to the point of national suicide. Let's pause the dissection for a minute and consider the broader point that Rothbard was trying to make, in a clumsy and frustratingly contrarian sort of way. It's true that American Conservatives viewed the Soviet Union as an existential threat, and it's absolutely true that more than a few of them wanted the Soviet Union stopped "at all costs". A good essay could have been written about how it's important to differentiate between the American Conservative borderline-Millenialist viewpoint and a more constructive approach to the Soviet Union that focused on trade and increased integration with the rest of the world. A good essay could have been written about how it's important to understand that, even if the Soviet Union truly is an existential threat, that doesn't justify the proliferation of various government alphabet soup agencies bent on poorly recreating the Soviet system in a misguided attempt at defending ourselves against it. A good essay could have been written about how it's more important than ever to stay true to our ideology and our ideals and how the FBI's and CIA's excesses of the time were egregious violations of the core principles upon which the United States was founded. Instead, though, Rothbard wrote a poorly researched paper based on historical half-truths to call out the first person brave enough to run for President as a Libertarian because that person failed to compare American Conservatives to Hitler. What of Stalin’s “expansion” into Eastern Europe? This expansion was scarcely aggression in any rational sense: it was purely the inevitable consequence of Russia’s rolling back and defeating the German aggressor and his Hungarian and Rumanian allies. Which, of course, is why Lithuania, Latvia and Estonia ceased to exist as independent countries; it's why there were Russian troops in Poland, Czechoslovakia, and Bulgaria; it's why Marshal Tito in Yugoslavia received death threats and ultimately denounced the Soviet Union. Of course, all of these half-truths are meant to make the potentially interesting point that the Soviet Union was not, in fact, an existential threat to the United States and had no serious designs of conquest against it. That may or may not have been true, at least in retrospect. That said, if, as Rothbard correctly pointed out, the Soviets identified "the threat of American aggression, a threat which [the Soviets] have felt deeply ever since we intervened with troops and weapons to try to crush the Bolshevik Revolution in 1918-20," would it not stand to reason that the Soviets might have desired a similarly "inevitable consequence of Russia's rolling back and defeating the American aggressor and its allies" as they apparently were rational in prosecuting against Germany and every other country in Eastern Europe between Moscow and Berlin? Furthermore, why would it be "rational" for a state to conquer anyone under any circumstance? Isn't the entire point of Anarcho-Capitalism that states are inherently irrational and coercive, and so their existence must be minimized or, better yet, abolished? How does enabling one large state's conquest of neighboring states - an act that flies in the face of the usual libertarian case for decentralization - support that goal? If anything, the one thing libertarians and anarcho-capitalists should universally agree on is that, when states enlarge their jurisdictions at the literal point of a gun and enforce that enlargement against repeated uprisings by their new slaves, we should support the people against the state. That really shouldn't be a complicated concept to grasp. There's a right way and a wrong way to defend libertarian foreign policy. The right way is by acknowledging and calling out the actions of states whenever they violate the rights of the people governed by them, regardless of where on a globe they might be found. The wrong way is by openly apologizing for statist conquerors, regardless of where on a globe they may be found. Rothbard, at least in this one particular instance, chose wrongly. Please, if you're reading this, don't repeat his mistake. Why Do Men Defend Creeps?